New song by Cahill vs. Kalma "Plastic Lawyer Candidate" to premiere on Adam vs the Man Live TONIGHT! New song by Cahill vs. Kalma “Plastic Lawyer Candidate” to premiere on Adam vs the Man Live TONIGHT! 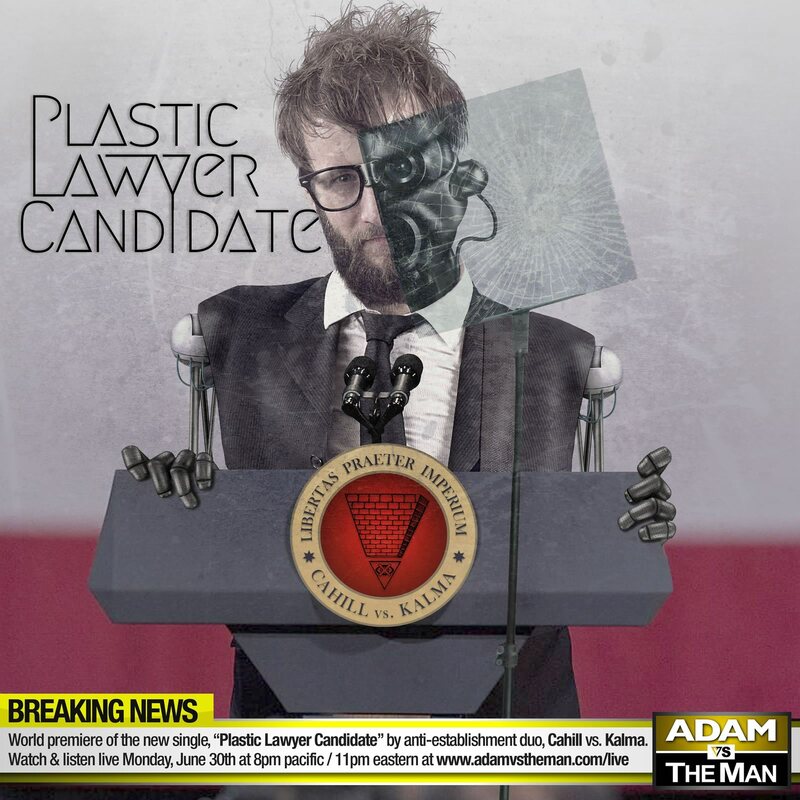 World premiere of the new single by Cahill vs. Kalma, “Plastic Lawyer Candidate” live on Adam vs The Man TONIGHT! The premiere of the new song by Cahill vs. Kalma (www.davecahill.com) will premiere TONIGHT, June 30th at 8pm pacific / 11pm eastern. I'm a songwriter, multi-instrumentalist, producer, political activist, web developer and small business owner. I have composed and produced 5 albums.or original music and have performed hundreds of live shows across the country.